In many ways, taking an infant to Disney World is easier than traveling with an older child. 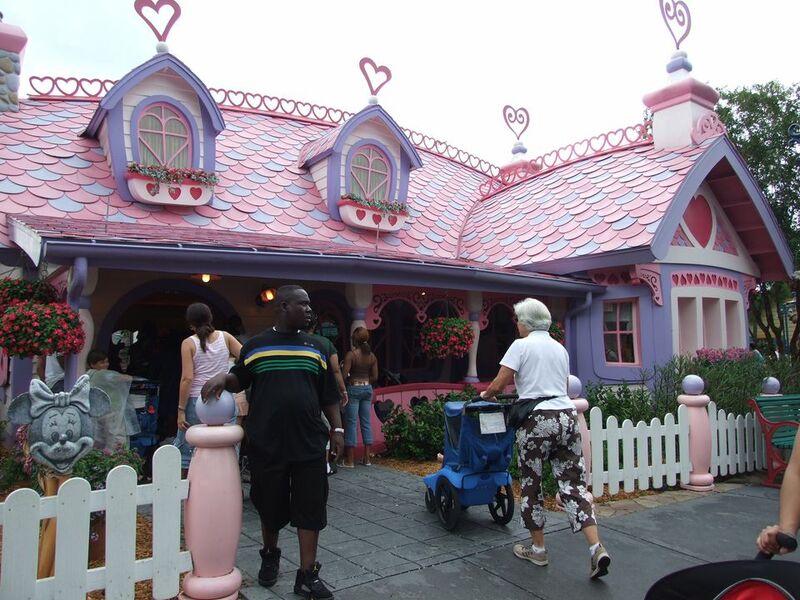 Very young babies are primarily concerned with comfort — if you keep them cool, dry, and fed they will enjoy the sights and sounds of whatever Disney theme park you visit. Choosing the right resort, bringing along the right gear, and knowing where to find essentials will help your Disney vacation go smoothly when traveling with an infant. Need a nap? There are even some great naptime spots throughout Disney World! Disney World resorts are equipped to serve the needs of guests of all ages. If you are traveling with an infant, be sure to request a travel crib for your room. Moderate and deluxe Disney resorts offer in-room refrigerators, which will come in handy if you are bottle feeding. Consider a "home away from home resort" or suite if you need more space, or want your infant to have a quiet spot to sleep or nap. If you are staying at a value or moderate resort, ask for a first-floor room or a room by the elevator to make getting to and from your room easy. Disney deluxe resorts are equipped with elevators and inside room entrances and are a great bet for families traveling with an infant. All Disney theme parks offer stroller rentals, but if your baby is under a year old, consider bringing your own stroller. Disney World rental strollers do not offer enough head support for a small infant. If you stay in one of the monorail resorts — the Polynesian, Contemporary, or Grand Floridian, you will be able to access both the Magic Kingdom and Epcot without removing your child from the stroller. You will be able to take your stroller onto the monorail without folding it, but parking trams and Disney world buses require you to remove your child and fold the stroller when boarding. Rides that are suitable for infants are clearly marked on Disney world theme park maps. Consider bringing along a baby sling or carrier to make getting on and off rides with your infant easy. Some rides offer seats with less motion, so you can enjoy the ride, but not be jostled. Be sure to take advantage of Disney World's rider switch program to be sure everyone in your party has a chance to ride the less baby-friendly attractions. All Disney restaurants offer high chairs, and most table service locations have special infant seats available upon request. Even though your infant will not be ordering from the menu, they do need to be included in your party size when you make your reservation. Consider booking your reservation at an "off" time for faster service, and for a less crowded dining area. With a few exceptions, children of all ages are welcome at Disney table service locations. Babies need a lot of gear — be sure to pack the everything you think you will need each day of your visit. Include diapers and wipes, feeding supplies, spare pacifiers, sunblock, a hat and a light blanket to shield your baby from the sun. If you leave something behind though, each Disney theme park has a baby center equipped with changing and nursing areas and offering diapers, formula and other essentials for sale. Check the theme park map for baby center locations.